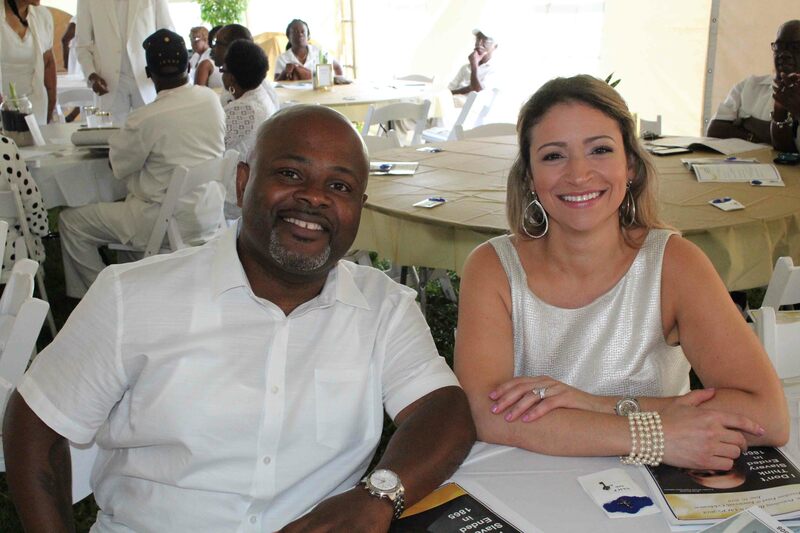 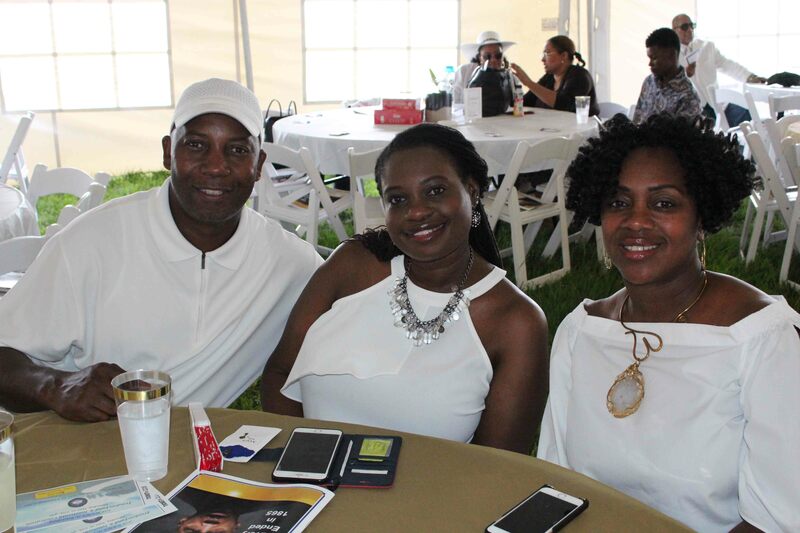 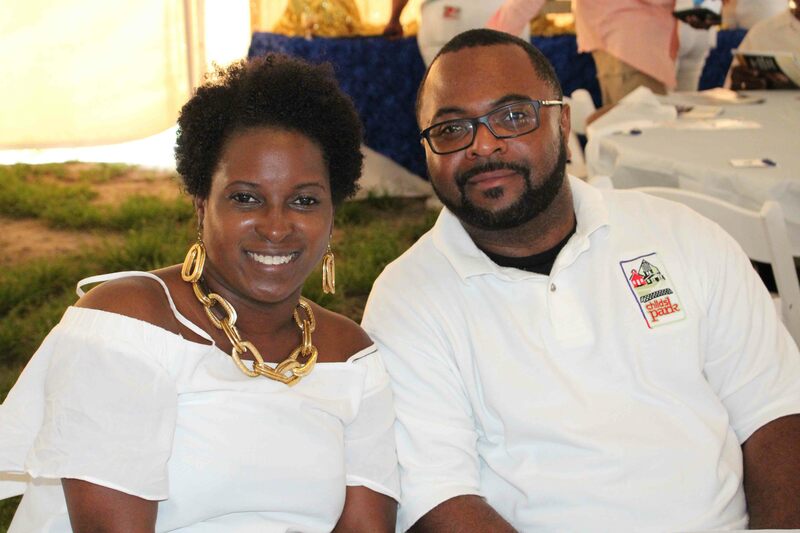 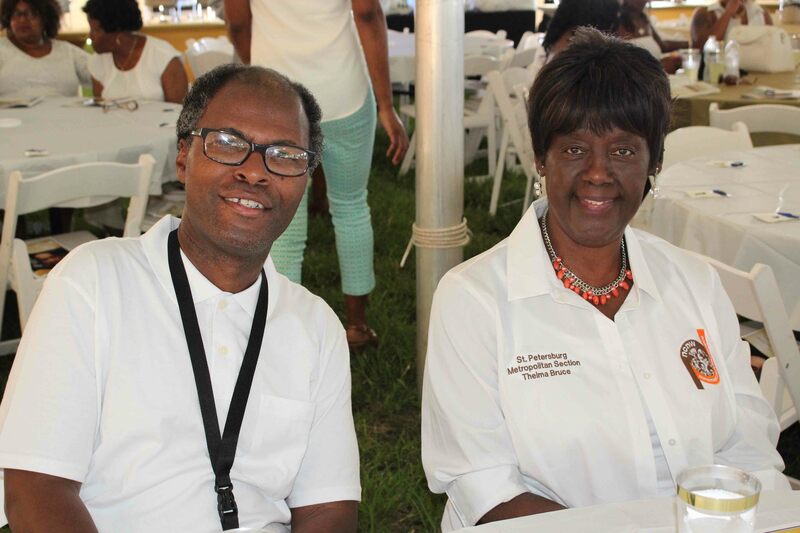 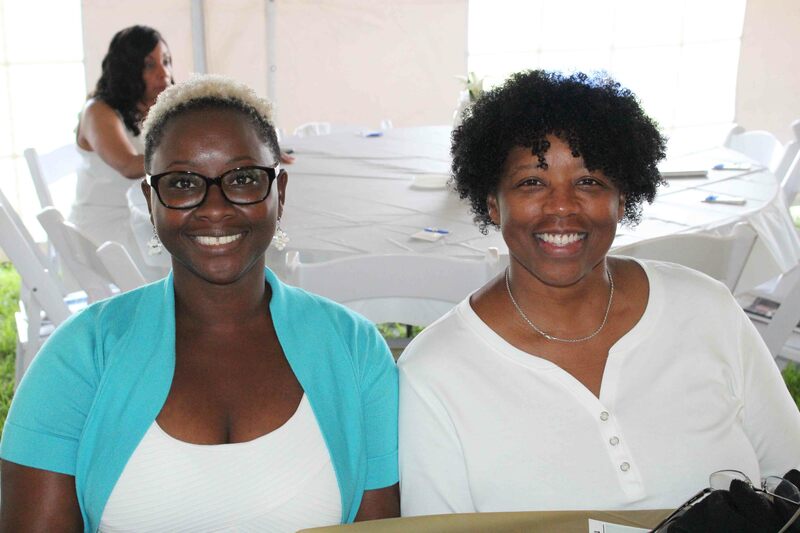 ST. PETERSBURG – The St. Petersburg Branch NAACP held its 2018 Freedom Fund and Juneteenth Celebration Saturday, June 16 under an air conditioning tent at Vinoy Park. 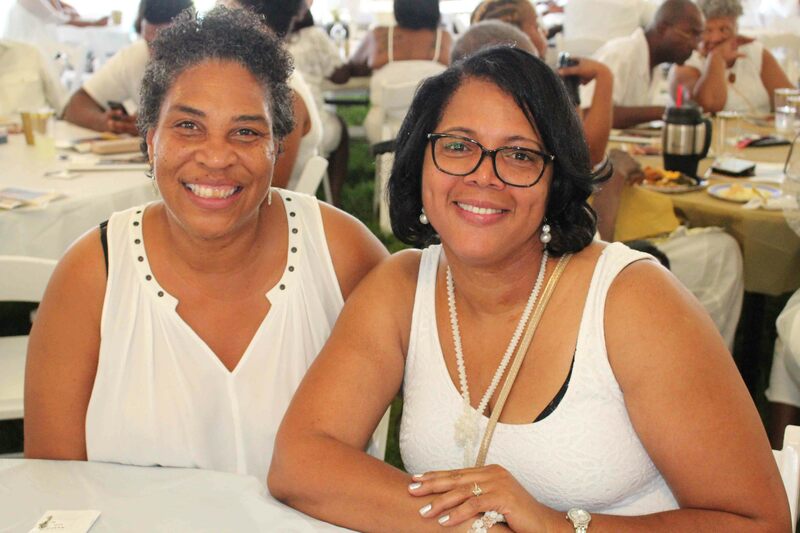 In the 21st century, African Americans are still shackled mentally, she averred, and the purpose of the afternoon was to begin to acknowledge that. 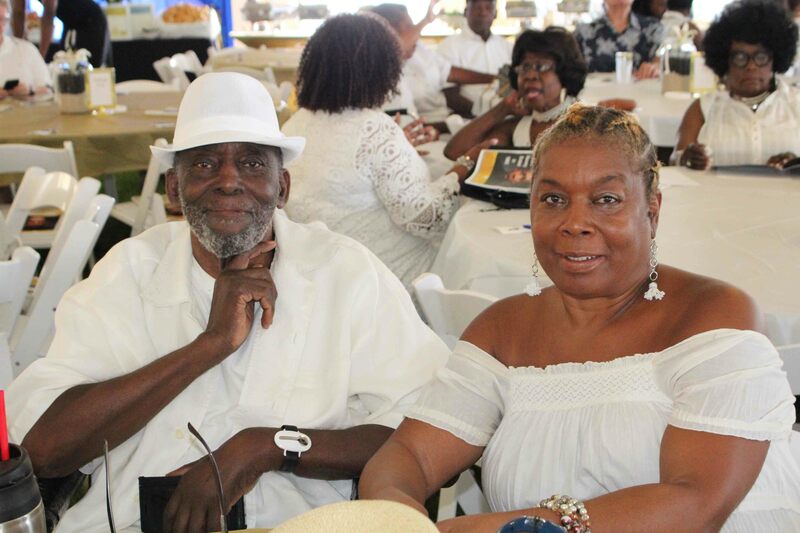 She pointed out that the centerpiece jars filled with soil on the tables represented the more than 300 souls that were lynched in the state of Florida. 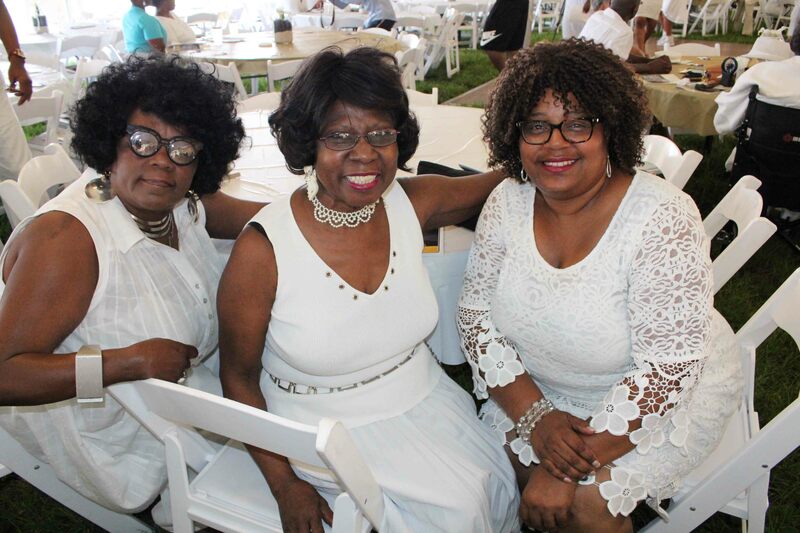 She encouraged everyone to take them home as a reminder that before African Americans can reach any real social, economic and political justice, they must acknowledge how they got there. 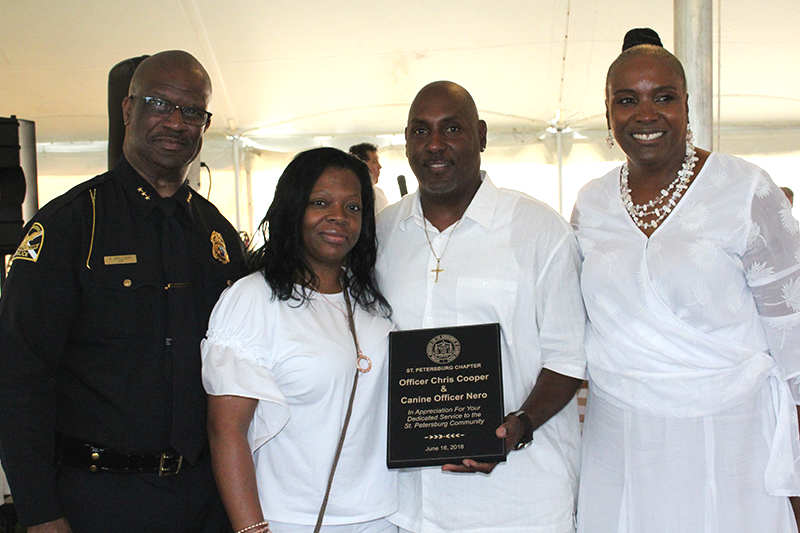 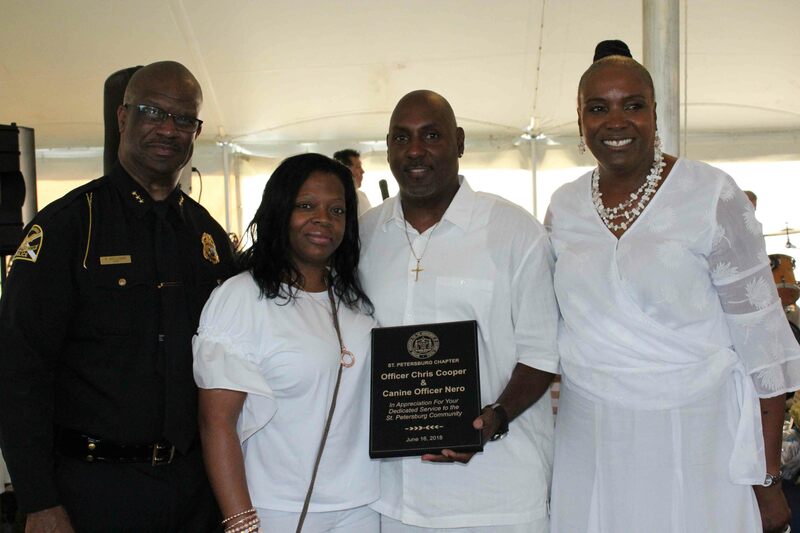 Scruggs presented this year’s President’s Award for community service to Chris Cooper, the first African-American K-9 officer with the St. Pete Police Department. 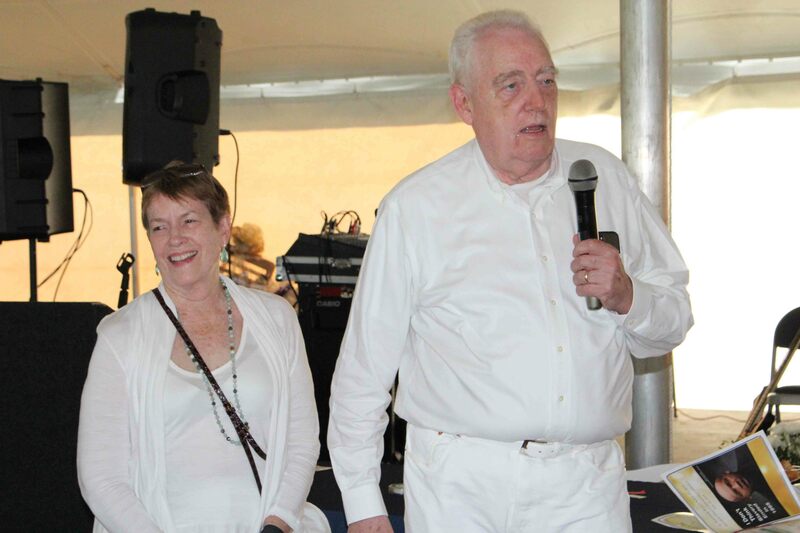 Another President’s Award for demonstrating ongoing service and ongoing support of the NAACP’s mission went to the husband and wife team of Poul and April Hornsleth. 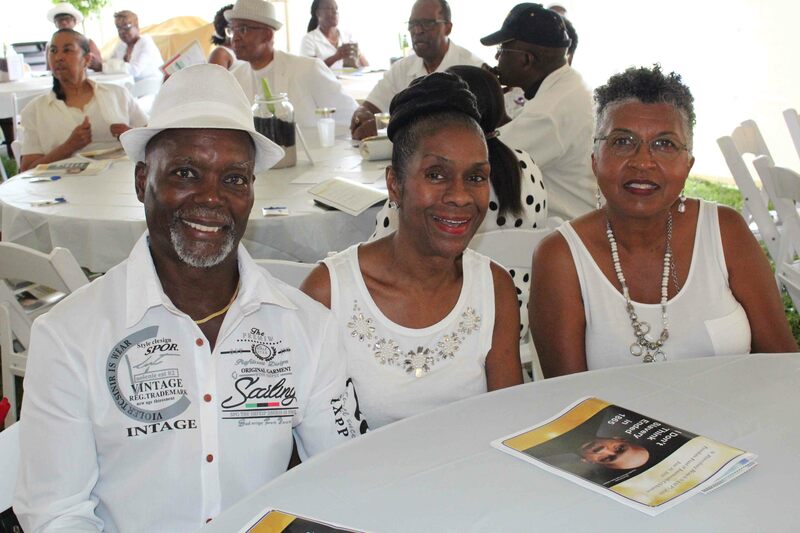 To illustrate just how long the Hornsleths have been honorably serving the community, Scruggs revealed that when she was a youth member of the NAACP at 16 years old, Poul and April were serving on the executive committee. 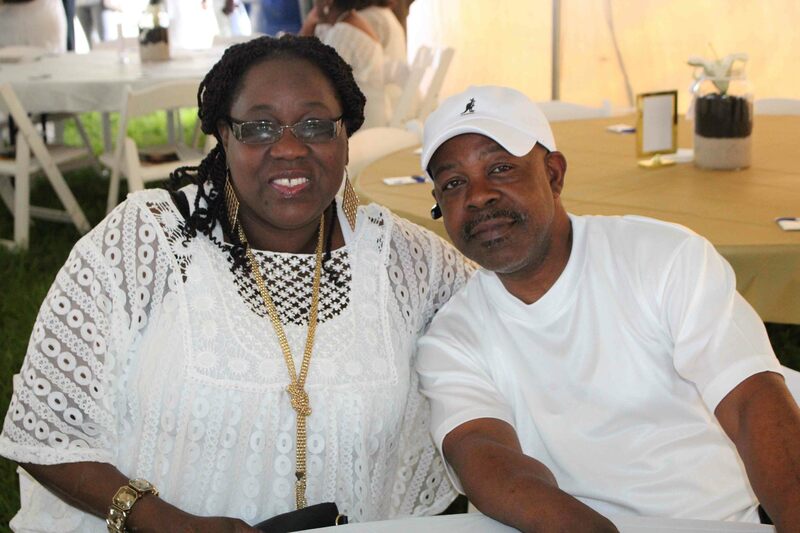 Scruggs is now 60 years old. 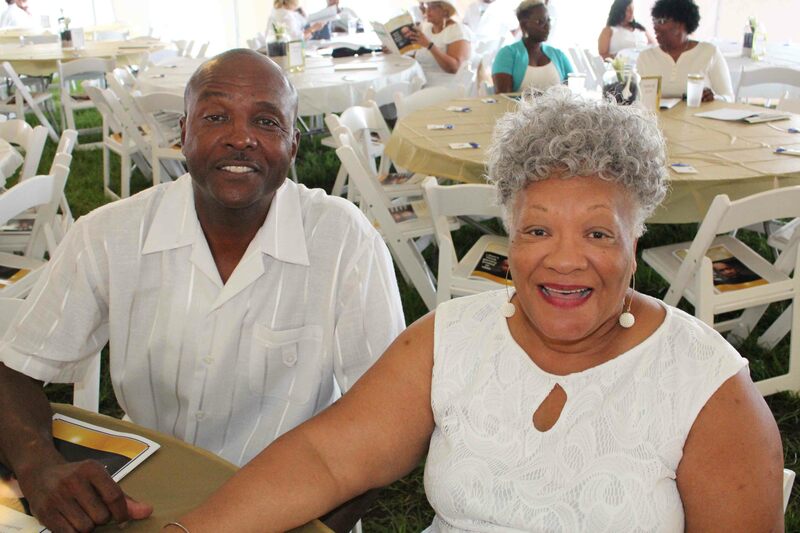 During the annual appeal for membership, he added that though the NAACP is a strong organization, it’s not a strong financial organization and called for lifetime memberships. 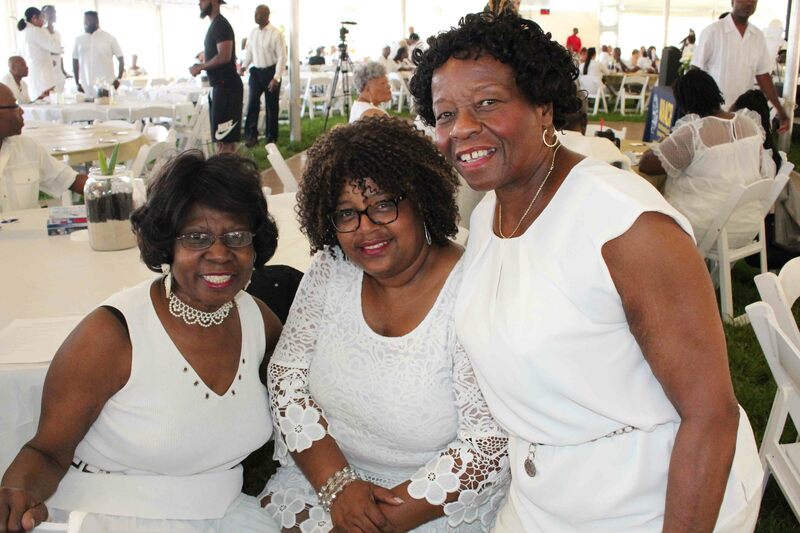 Other worthy organizations such as the Urban League receive corporate contributions, Hornsleth said, while the NAACP does not. 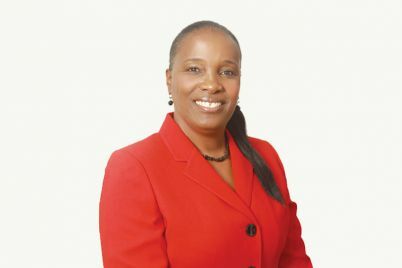 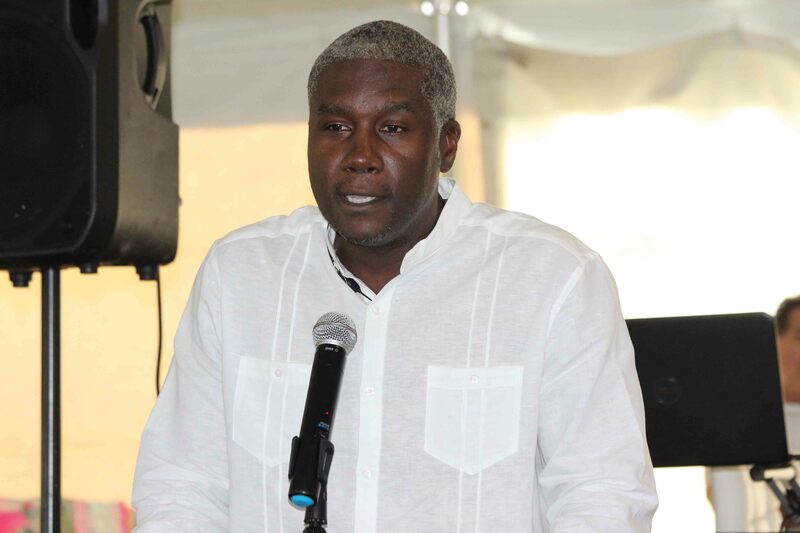 Treasurer Kent Channer conceded that though the organization has had issues in the past regarding its finances, it is now on a “solid foundation.” He noted that for the last three years under President Scruggs’ leadership, the branch’s financial statements have been audited by licensed, certified public accountants. 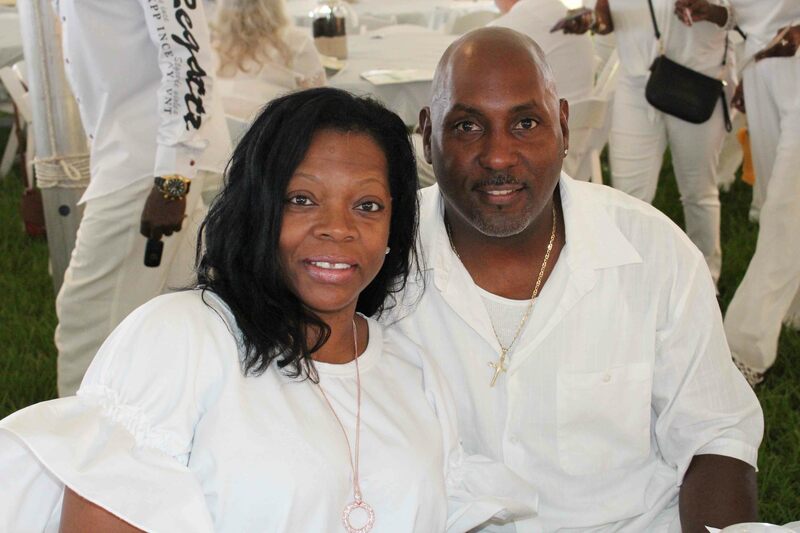 Monthly bank reconciliations, quarterly financials, and even the Freedom Fund celebration are properly budgeted, he added. 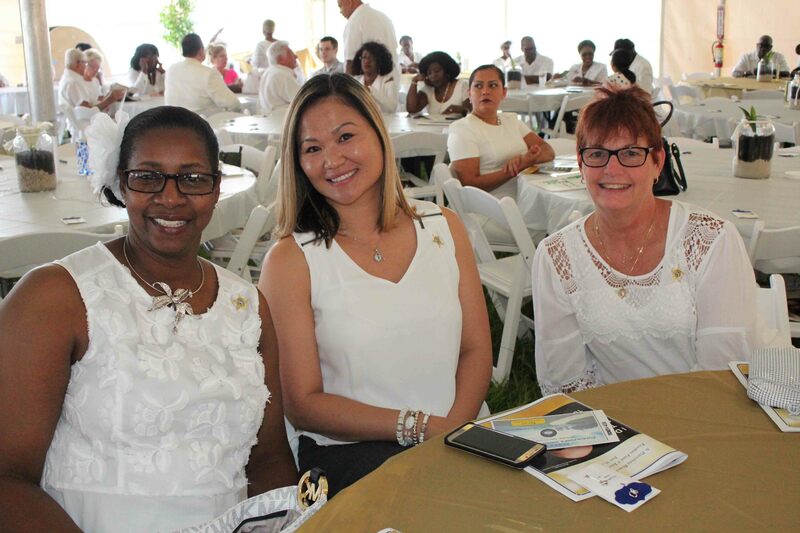 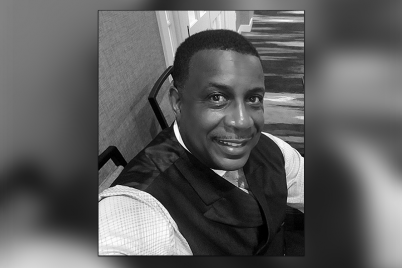 “So if anyone is ever concerned about the financial management of your local NAACP branch, I encourage them — give me a call,” said Channer, adding that this is the third year running that the branch is financially compliant with the national standards. 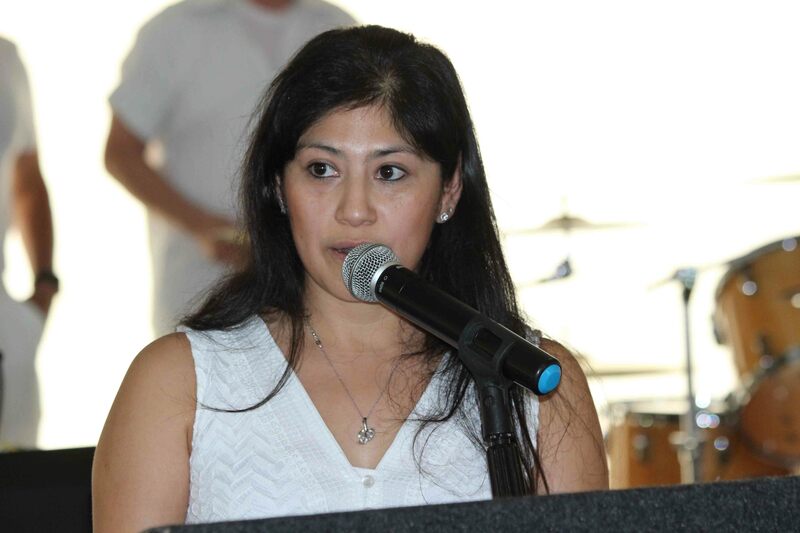 Political Action Chairwoman Erika Lopez-Zwolski pointed out that part of the NAACP’s job is to educate residents and voters of the candidates that are currently running for the school board. 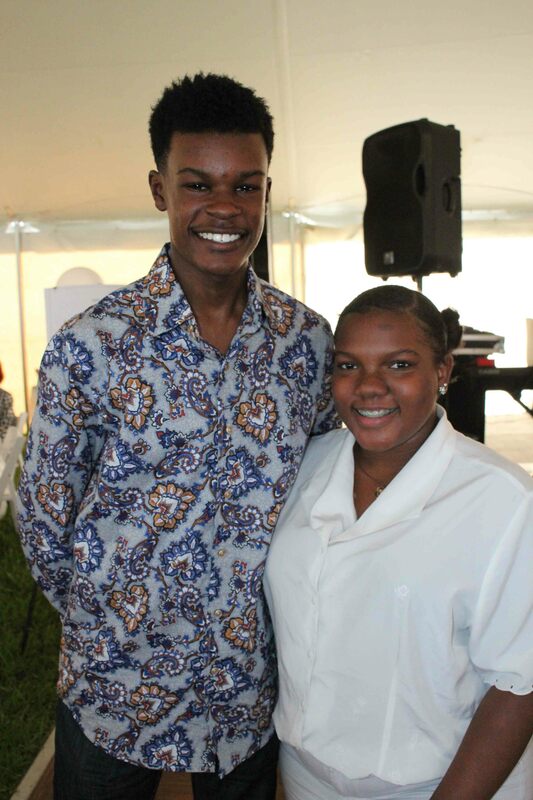 This year’s Morris Milton Scholarship Award went to Timothy Garner, a Gibbs High School graduate who will be headed to the University of South Florida, while the Garnell Jenkins Scholarship Award was awarded to Deaja Henry, who will be majoring in nursing. 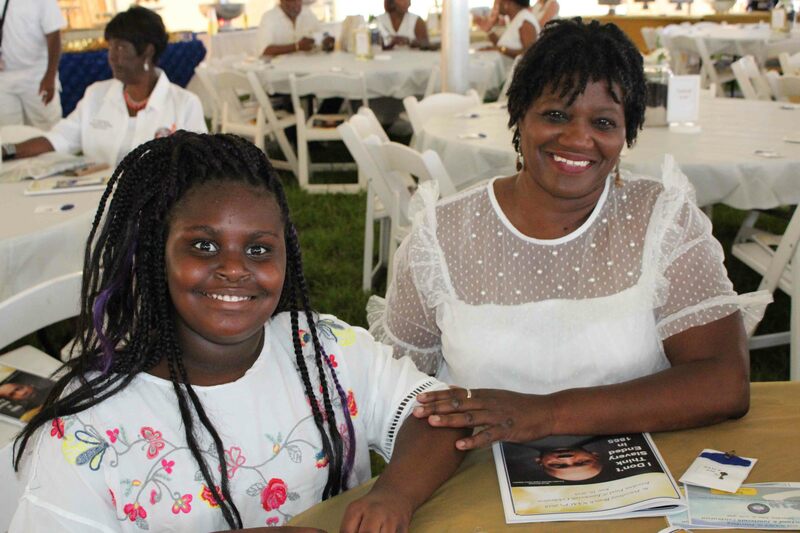 Both Timothy and Deaja received $1,500 to help ease the expenses of higher education.